The Worthington Kilbourne Wind Ensemble is the premier band ensemble at Worthington Kilbourne High School. Membership is by audition. This band brings a rich history of excellence to the performance stage. Performances have included the Ohio Band Directors Conference, the Bowling Green State University Reading Clinic, OMEA conference, and MENC North-central Regional Conference. In 2008 and 2012 the band was selected to perform at Carnegie Hall in the National Band and Orchestra Festival. 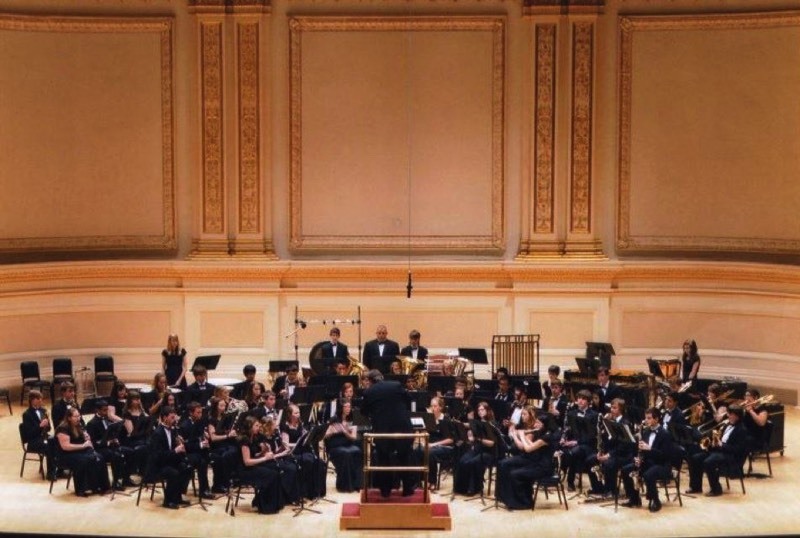 The Wind Ensemble has earned praise from guest conductors, composers, clinicians and adjudicators such as Alfred Reed, H. Robert Reynolds, Craig Kirchhoff, Frank Battisti, Charles Pelz, Donald McGinnis, Russel Mikkelson, Milton Allen, Jeff Gershman, John Mackey, and Roger Cichy. The band was directed by Greg Taylor from 1991-2003 and Don Clark from 2003-2006. Don Nathan has been the director since 2006 and Alex Brough since 2018.